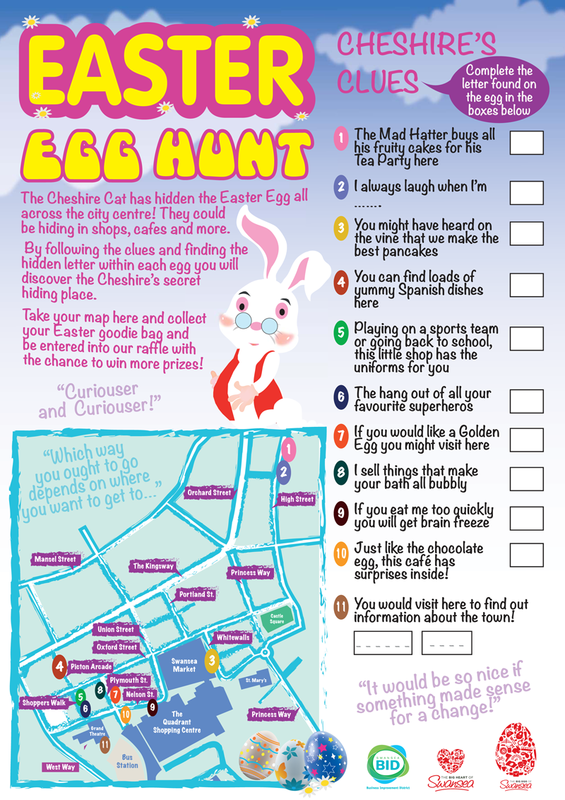 The Easter Egg Hunt will take place in Swansea City Centre on Saturday 4th April between 10am and 4.30pm. Solve the clues, uncover the hidden message and return your completed map to the Tourist Information Office (around the corner from Wilkinson and next to the bus station). The first 100 children to return their maps will get a goody bag and each parent/guardian will be given a raffle ticket for a chance to win an Amazon Fire HD Tablet.